Following the incredible success of Pokemon Go, the world of Virtual and Augmented Reality seems much more accessible than ever before. In fact, quite a few companies have already begun testing the waters of Virtual Reality. Facebook, McDonald’s, Volvo, Airbus, and Coca-Cola are only a few of the big-name companies to have created virtual experiences for their audiences. Many promises have already been made. 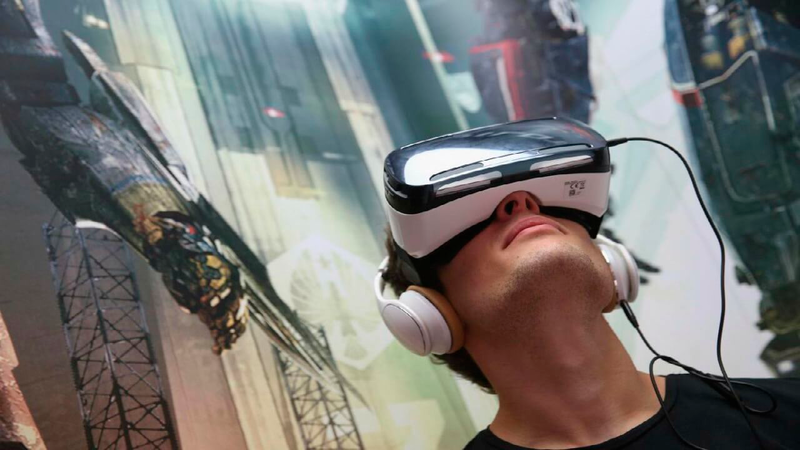 According to Immersv–a virtual reality ad network based in Los Angeles–for example, “Consumers will spend $5.1 billion on virtual reality gaming hardware, accessories and software in 2016”. Certainly, the excitement of consumers when asked about VR is impressive and seems to echo this prediction. Out of the 2,282 people surveyed by Greenlight VRand Touchstone Research who’ve tested out virtual reality, 79% said they’d like to try VR again 81% would share their experience with friends. Still, with the technology being as new as it is and without a precedent having been set, businesses have every right to be skeptical. That’s why we’ve decided to break down the opportunities as well as important information to keep in mind when taking a chance on VR for advertising. There is a reason why, despite the success of online stores like Amazon and Warby Parker, those e-commerce giants later decide to open up brick and mortar shops. That reason is that shoppers like to be able to touch a product before making a purchase. According to a Techcrunch consumer survey, “78 percent of consumers prefer to shop in-store and they spend six times more in-store than online” (source). That’s right. As much as we love browsing the internet for things to buy and comparison-shop, most shopping still goes on in physical stores. Part of that is because with e-commerce, customers are forced to rely on one sense only–sight. And even that sense is likely distorted due to the lighting and sizing of images. Getting a customer to buy something online, therefore, demands quite a high level of trust. But virtual reality could change all of that. Using this new technology could allow shoppers to get a much more rounded look into what they could be buying. For example, when shopping for a purse via VR, one could virtually peer into a life size version of the purse, see what it looks like inside, find out how the material looks in different lighting, etc. This option is basically guaranteed to be warmly-received by customers. An Ericsson ConsumerLab study of consumer trends for 2016 revealed that shopping is one of the main reasons consumers are interested in VR. 64% of those surveyed cited “[seeing] items in real size and form when shopping online” as the top reason they welcome the new technology. Besides retailers, plenty of companies could enhance their marketing strategy using VR, taking experiential marketing to the next level. Fashion shows, sports, concerts, car races…these are all events already used to promote brand recognition and inspire positive associations within the minds of audiences. With virtual reality video, the reach for such events could grow exponentially. As written in an article by Think with Google, VR could “transport people to a place, immerse them in a world, and compel them to explore” all from the comfort of their own home. Expensive tickets, travel arrangements and other inconveniences would all be bypassed using VR gear. Visually-impressive events typically limited to those who could afford the costs would then attract a much larger audience. And finally, there is the attraction of early adoption. Virtual reality is currently in its beginning stages, but with a very positive future path. Though VR content is now considered a novelty, VR experts, including the CEO of Immersv Mihir Shah, say the field is moving even faster than expected. Shah cites Google Cardboard as one catalyst. “Some days have seven figure daily active users (DAUs) and it’s doubling every quarter on Cardboard,” said Shah to Marketing Land. Certainly, this new marketing frontier presents a lot of promise for marketers looking to boost excitement and interest. As promising as it is, VR does bring with it a level of risk that may lead marketers to hold back. It’s understandable that a lack of backing data creates a gap in knowledge for companies who might otherwise be interested in trying VR in their marketing. That said, a lack of data is a problem faced with any new platform. Another setback agencies might face with virtual reality is equipment. Virtual reality–at least for now–can be costly for content-makers. One should also factor in any transportation costs, labor costs, and other roadblocks one could hit during a day of production. When keeping these bits of information in mind, it’s easy to understand why so far most VR marketing endeavors have been taken by giant corporations. Yet there are ways to limit costs. Companies on a budget can lower the cost of production with consumer level cameras (Gizmodo lists some good ones here), and by using software that provides stitching solutions to cut down on post-production expenses. Explore your options, because new solutions for simplifying VR content production are popping up constantly. Jenna Pirog, The New York Times Magazine’s virtual reality editor, spoke to Editor & Publisher, and shared her advice to publishers who are interested in VR. According to her, the equipment and environment of VR is constantly changing, and publishers should not be afraid to just “dive in”. Of course, she says, it is best to stay up-to-date with trends in the market and always assess how to move forward. And we can’t say we disagree. VR, beyond the novelty, does seem to be the way marketing is headed. It could offer the industry a whole new dimension (pun intended) of consumer interaction and information-gathering, and we’ve only really just begun digging at the possibilities. Anyone currently working with VR will later be considered a pioneer to an industry Fast Company says is set to generate $30 billion in annual revenue by 2020 (according to a study by Digi-Capital). But as with any expedition, it’s a high-risk situation. Taking on virtual reality as a marketing platform should not be taken lightly, because there will be an upfront cost and necessary effort. Yet can we afford not to take on those risks? As marketers, we often find ourselves taking on new platforms for content in order to be present where our audience is. Agencies have jumped on social media and created blogs before stringing together all the data that would connect those actions with profitability. We’ve learned that by being overly careful and calculating, we can miss out on peaks of opportunity and innovation. If your business is in the market for something that can stretch your creativity and stands out, then what are you waiting for? You know what they say about the early bird. What’s your take on VR? Do you think it’s where the future of marketing is headed or do you think it’s not worth the hype? Let us know in the comments section.